A teacher of English as a second language for 14 years. I have an MA in teaching English to Speakers of Other Languages from the University of Manchester, along with a Trinity Dip TESOL and CELTA qualification. I have a BA in Japanese/Second East Asian Language from the University of Durham. I currently lecture in ESOL/EFL at the University of Central Lancashire, and recently started a PhD in Applied Linguistics at the University of York, focusing on language learner identity development within an online space. 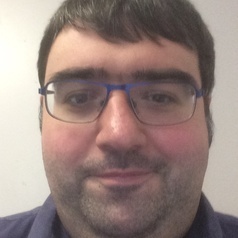 My research interests include computer and mobile-assisted language learning, second language acquisition, language learning psychology and digital natives.